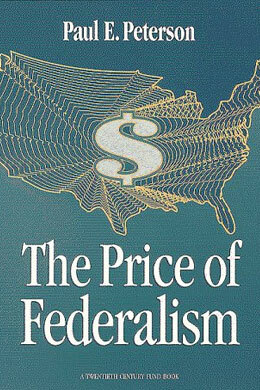 What is the price of federalism? Does it result in governmental interconnections that are too complex? Does it create overlapping responsibilities? Does it perpetuate social inequalities? Does it stifle economic growth? The book addresses these questions by developing two theories—functional and legislative—of the workings of the American federal system. Winner of the Aaron Wildavsky Award for Best Book on Public Policy, Policy Studies Section, American Political Science Association. Winner of the Martha Derthick Award for Best Book Published for 10 years, Federalism and Intergovernmental Relations Section, American Political Science Association. Urban Politics Presented to the author of a book published at least ten years ago that has made a lasting contribution to the study of federalism and intergovernmental relations.